Brian K. Carroll is a partner at Johnson Carroll Norton Kent & Goedde P.C. and practices in the areas of estate and trust planning and administration, real estate, and elder law. 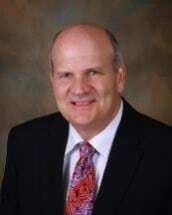 He also handles business litigation matters and is admitted to the Indiana Supreme Court, the United States District Court, Northern and Southern districts of Indiana, and the United States Court of Appeals for the Seventh Circuit.